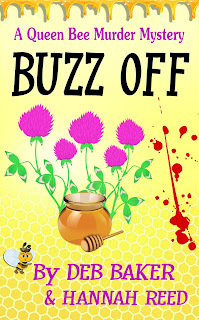 Buzz Off, the first in the Queen Bee mystery series, has been reissued through Kindle with a new, low price of $2.99. Originally credited exclusively to Hannah Reed, this one puts credit where credit is due. It's September - National Honey Month - in Moraine, Wisconsin. After her mentor in the honey business is found dead in his apiary, beekeeper Story Fischer must sort through a swarm of suspects, including her ex-husband. With a little help (and sometimes hindrance) from family and friends, Story must find her way out of a very sticky situation.